Quantitative finance is moving into a new era. Traditional quant skills are no longer adequate to deal with the latest challenges in finance. The Machine Learning Institute Certificate offers candidates the chance to upgrade their skill set by combining academic rigour with practical industry insight. The Machine Learning Institute Certificate in Finance (MLI) is a comprehensive six-month part-time course, with weekly live lectures in London or globally online. The MLI is comprised of 2 levels, 6 modules, 24 lecture weeks, lab assignments, a practical final project and a final sit down examination using our global network of examination centres. This course has been designed to empower individuals who work in or are seeking a career in machine learning in finance. Throughout our unique MLI programme, candidates work with hands-on assignments designed to illustrate the algorithms studied and to experience first-hand the practical challenges involved in the design and successful implementation of machine learning models. The MLI is a career-enhancing professional qualification, that can be taken worldwide. 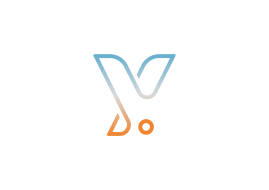 Yields.io is the first FinTech platform that uses AI for real-time model risk management on an enterprise-wide scale. Our clients use our solution to speed up model validation tasks, to generate regulatory compliant documentation and to industrialize model monitoring. The platform works with all models that are used within the financial sector such as credit risk models, valuation algorithms, market risk, AML, AI and behavioural models. Yields.io was founded by Jos Gheerardyn and Sébastien Viguié. The company is expanding quickly and has offices in Brussels and London. Yields.io has an international portfolio of clients with both investment banks as well as regional financial institutions. MoCaX Intelligence is a new-to-the-market algorithm that accelerates existing Risk Engines without the need for complex systems development or expensive hardware upgrades. MoCaX removes the pricing step bottle-neck that often uses over 90% of computational effort in existing engines and increases capabilities by several orders of magnitude with no loss of accuracy. MoCaX builds on the new Algorithmic Pricer Acceleration (APA) and Algorithmic Greeks Acceleration (AGA) methods. APA synthesises your existing pricers and creates an accelerated version of them. Even your very slowest and complex pricer, passed through MoCaX, will return the same results (down to 10-15 precision) ultra-fast (up to a few nanoseconds). For example, this enables highly accurate Monte Carlo within Monte Carlo in an instant. 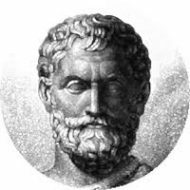 AGA is a further enhancement, creating also an ultra-accurate, ultra-fast function of the Greeks of your pricers, even when you do not have an expression for them. This enables for example exact MVA and MVA sensitivity calculations. APA and AGA work for any pricing function: analytical, tree or MC based; and with any asset class. MoCaX Intelligence: the next step forward. Please ask for a free version of MoCaX so you can test it for yourself. The Thalesians are a think tank of dedicated professionals with an interest in quantitative finance, economics, mathematics, physics and computer science, not necessarily in that order. The Numerical Algorithms Group (NAG) are experts in numerical algorithms, software engineering and high-performance computing. They have served the finance industry with numerical software and consulting services for over four decades because of their outstanding product quality and technical support. Specifically, relevant to the finance industry, NAG pioneer in the provision of the NAG Library – numerical, machine learning and statistical components ideal for building Quant Libraries, Risk Applications and the like. 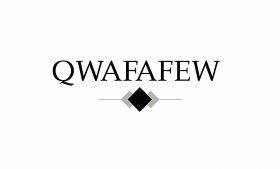 QWAFAFEW is an informal organization of quantitatively oriented professionals in various aspects of financial services, primarily investment management. The members span the gamut from owners and senior executives of investment related organizations to recent entrants to the industry. Most attendees have some technical training beyond the M.B.A. level, and many have Ph.D.s All share a common interest in quantitative solutions to understanding investment markets. Please visit www.qwafafew.org for more information.